I was speaking to the London Chapter of the Professional Speakers Association on Saturday about professional speaker marketing. I was explaining what I speak on and described it as “working with businesses who want to better align their sales and marketing” Yes I was speaking about alignment! After my speech Michael Dodd gave me some feedback. You probably know Michael from his media reviews on BBC and Sky News. Michael told me maybe I should think of not using the word alignment. It was too management speak. And maybe the audience were unsure as to what it specifically meant. Now of course, Michael is correct, or is he? 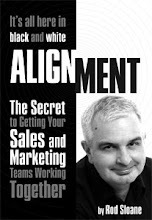 Alignment is a jargon word my ideal target audience use, but I would be better of saying “working better together” for the rest of the world. I needed to be more careful with my language for certain audiences. Do you use jargon or management speak that maybe your market is unsure of?